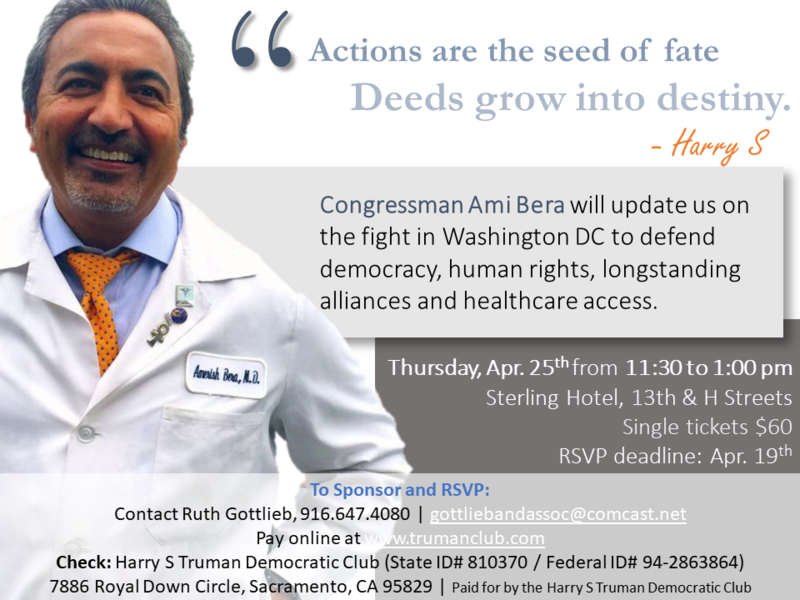 Congressman Ami Berawill update us on the fight in Washington DC to defend democracy, human rights, longstanding alliances and healthcare access. 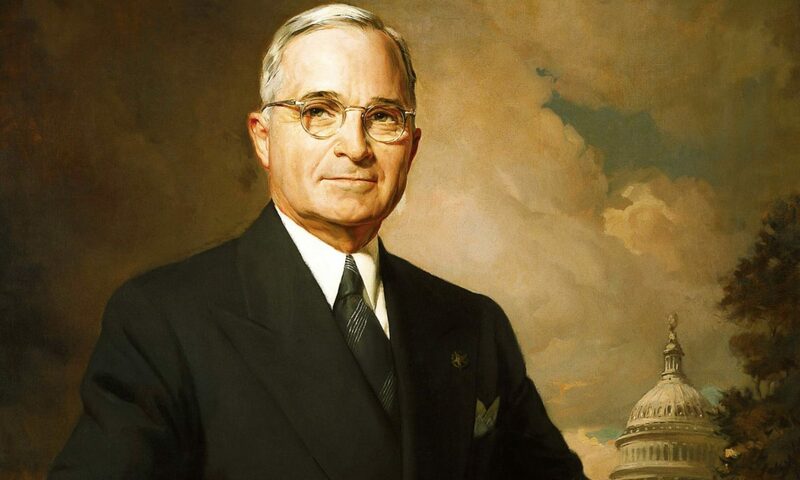 Steinberg lunch kicks off 2019! 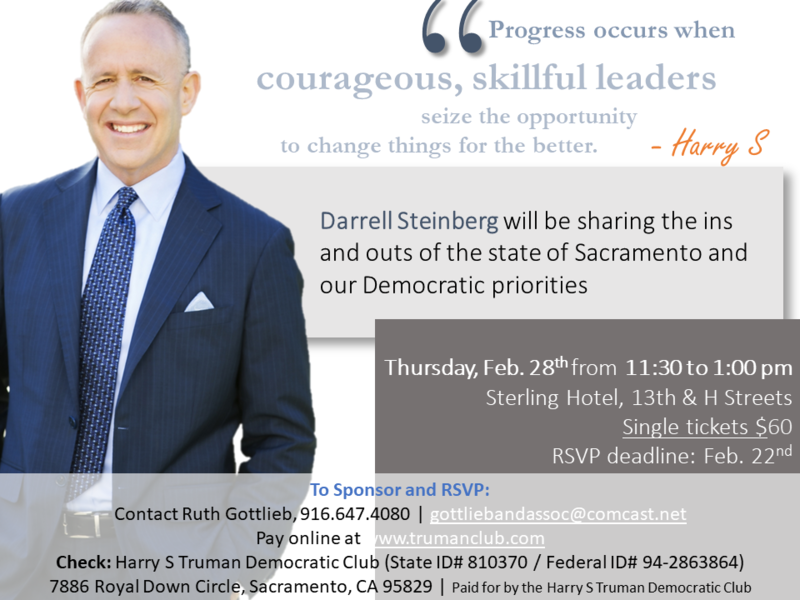 Darrell Steinberg will be sharing the ins and outs of the state of Sacramento and our Democratic priorities. 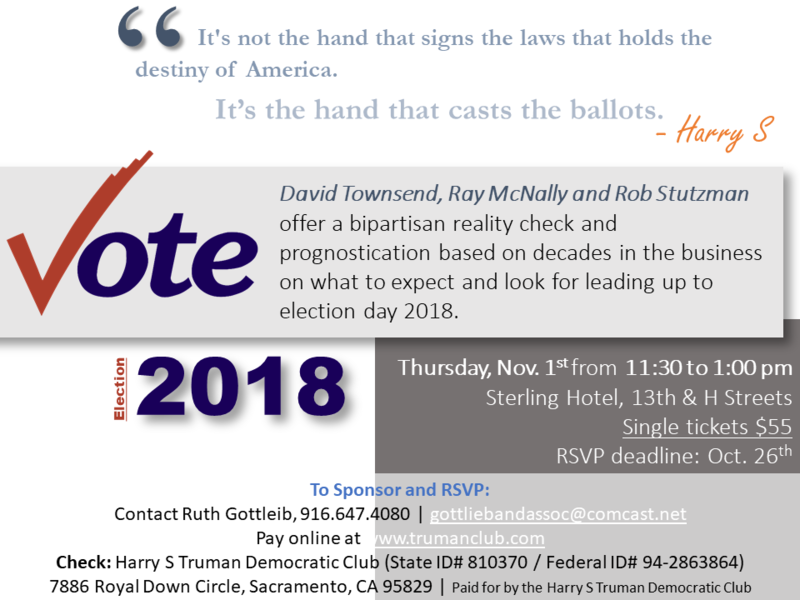 David Townsend, Ray McNally and Rob Stutzman offer a bipartisan reality check and prognostication based on decades in the business on what to expect and look for leading up to election day 2018.